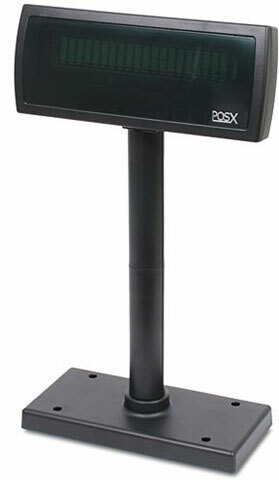 The XP8200 Pole Display was designed to blend in beautifully with your POS Station. Beyond its great looks, the lack of dip switches make configuration through the provided software a breeze. Featuring OPOS support and 10 of the most common emulations, including Epson, CD-5220, and UTC, the Xp8200 makes a great addition to any POS station. Features include larger than industry average characters, adjustable height stand and pitch angles, 2-line/20-character per line display. 2-Year Warranty. The POS-X XP8200U is also known as POSX	PXI-XP8200U	.